BMgt. 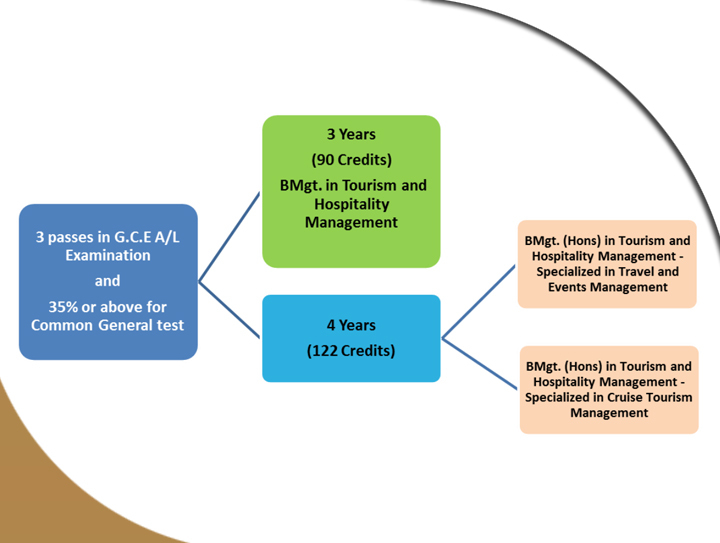 (Hons) in Tourism and Hospitality Management degree is a program which students can either obtain a general degree in BMgt. in Tourism and Hospitality Management or an honors degree of 4 years duration with specialization in the field of Cruise Tourism Management or Travel and Event Management. CINEC facilitates students to find their internship in the final year in reputed organizations. Internationally, Travel and Tourism generated US$7.2 Trillion in 2015, accounting for 9.8% of global gross domestic product, and 1 in 11 jobs worldwide were in the Travel and Tourism sector. Tourism and Hospitality is one of the fastest growing industries, so those who obtain this qualification will have a great demand in both local and international job market.